Endless Rose Metallic Blazer $120 Free US shipping AND returns! 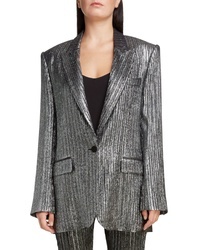 Isabel Marant Denel Party Time Lame Blazer $1,190 Free US shipping AND returns! 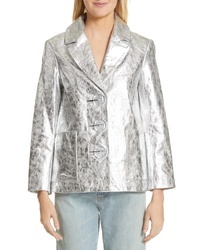 L'Agence Chamberlain Metallic Blazer $312 $625 Free US shipping AND returns! 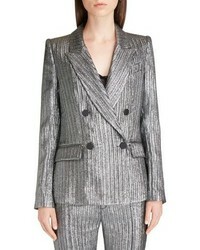 DVF Metallic Blazer $828 Free US shipping AND returns! 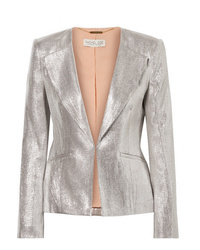 Isabel Marant Metallic Blazer $1,395 Free US shipping AND returns! Simon Miller Dawes Crackled Leather Jacket $1,470 Free US shipping AND returns! 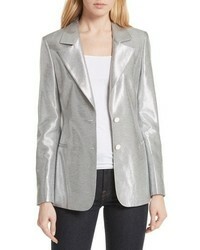 Rachel Zoe Daisy Metallic Woven Blazer $495 Free US shipping AND returns! 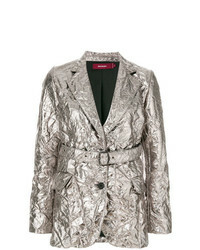 Sies Marjan Textured Metallic Blazer $862 $1,724 Free US Shipping! 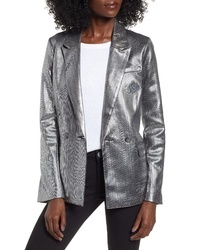 Lavish Alice Metline Blazer In Silver $92 Free US Shipping! Asos Tux Longline Blazer $42 $60 Free US Shipping! Oasis Occasion Tailored Shimmer Blazer Co Ord $85 Free US Shipping! ASOS DESIGN Relaxed Suit Blazer In Metallic $52 Free US Shipping!